Nearly four years after protesters stormed the British embassy in Iran, triggering outrage in Britain and closure of the embassy, Britain is restoring its diplomatic presence in Tehran. UK Foreign Secretary Phillip Hammond said he was “delighted” to be in Tehran for the reopening of the embassy. 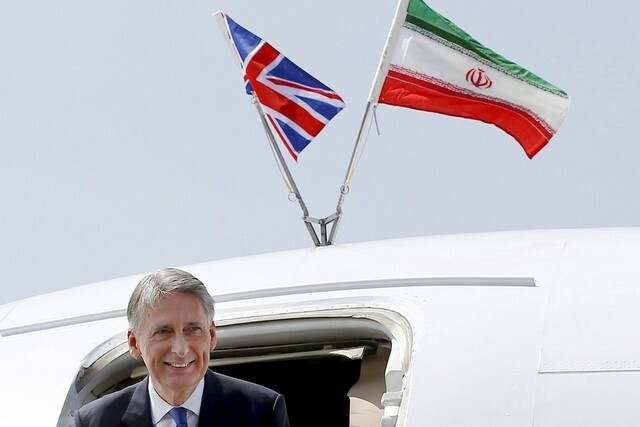 Hammond’s visit to Tehran is the first British ministerial visit in more than a decade. Iran also reopened its embassy in London today, in a coordinated move reflecting improved relations between the two countries. “Iran is, and will remain, an important country in a strategically important but volatile region. Maintaining dialogue around the world, even under difficult conditions, is critical,” Hammond said in a speech in Tehran marking the reopening of the embassy. I bet some of those hooligans who ransacked the British embassy will be lining up to apply for visa or asylum in the U.K. I guess you can't keep everybody happy !